Expand search to view more listings in and around Louisville. See more offices in and around Louisville. We have temporary workspace, coworking spaces and executive offices available for immediate occupation in Louisville, offered in a work-ready state with all the furniture, cabling and services you need to move in and get started. 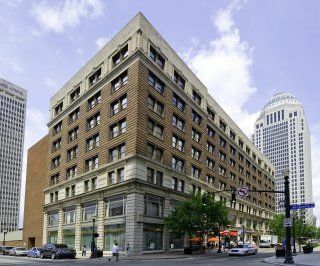 These professional office spaces for rent allow you do business in prime Louisville KY locations without the overheads and commitments of standard commercial real estate leases. Offices.net features a wide range of Louisville industrial spaces, commercial spaces, coworking hubs and business centers that are competitively priced. You can rent fully-equipped executive offices, virtual offices and coworking space in Louisville, Kentucky, on flexible terms to suit your individual business' requirements. You will be spoilt for choice when it comes to the impressive business facilities and professional support services on offer in our real estate listings. We try our best to ensure that the whole process is as easy as possible for our clients. Whether you require a lower level office, a poplar level space, or even a specific corner retail space in your dream Kentucky location - we'd love to hear from you. In addition to temporary office and coworking space we can also help you find warehouse spaces. View our commercial listings for workspace conveniently situated in excellent business locations for amenities and shopping centers as well as for quick access to interstates. Downtown Louisville experienced a profound urban transformation during the 1960s and 1970. This, along with the introduction of tax regulations, meant that new builds were most cost effective than renovations, so the office supply in the city is relatively new compared to other cities in the same tier. 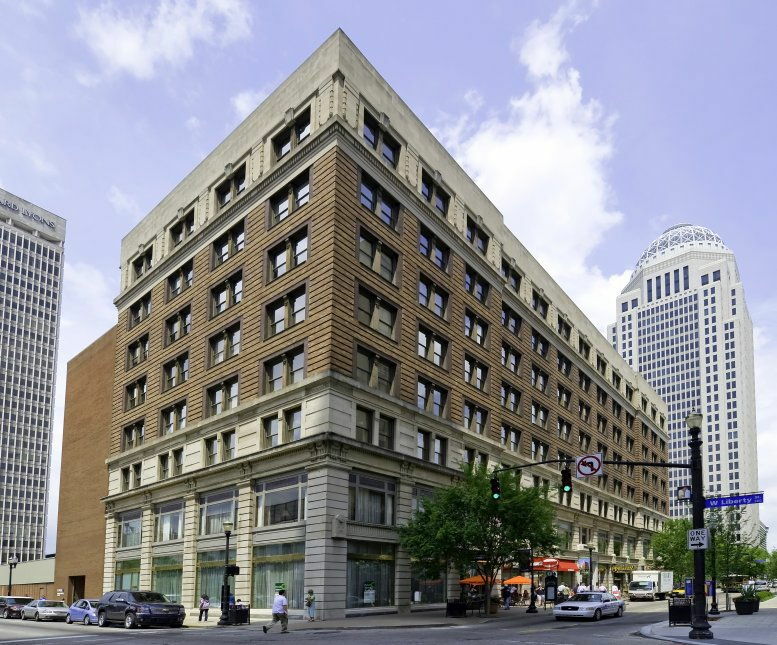 Louisville Commercial Real Estate - Popular Office Locations: Currently the office market is divided into CBD and suburban areas. The largest out of town sub-markets are Eastpoint / Hurstbourne, Plainview, Middletown, and St Matthews. High-rises for office use include the BB&T Building (previously known as the Columbia Building), the National City Tower, PNC Plaza, Lexington Financial Center, Humana Building, and 400 West Market. Average Vacancy & Office Rental Rates in Louisville, KY: Because in recent years there has been little to no change in indicators like unemployment, job gains in office-based occupations, and new construction deliveries, the market remains favorable to tenants as rental rates are stable and unlikely to experience dramatic increases. Vacancy rates city-wide are just under 13 percent in the CBD and double that figure in suburban markets. Average asking rents are $16 per year per sq ft of office space available across all sub-markets, although they can reach $20 in the CBD and above in newer suburban locations. The priciest retail spaces and office properties for lease are located in Eastpoint / Hurstbourne and Northeast Louisville, whereas the cheapest sub-markets are in the south east of the CBD (2017 data). Office Market Outlook: Looking forward, the office market in Louisville, KY is likely to experience a tightening in the suburban areas, which may keep downtown offices at moderate rates, making it one of the most affordable options for businesses looking to establish themselves in the area. One of the oldest cities west of the Appalachian Mountains, Louisville was founded in 1778, named after Louis XVI of France and is now the home of the Kentucky Derby, the University of Louisville, Louisville Slugger baseball bats, and Kentucky Fried Chicken. Louisville International Airport is the worldwide hub for UPS and a major air cargo airport, reaffirming the city's long history with shipping and cargo industries. Louisville is also supported by its strategic location at the crossroads of three Interstate highways. With a metropolitan population of over 1 million people, Louisville is Kentucky's largest city. The city's location on the banks of the Ohio River and near the border between Indiana and Kentucky was crucial to the development of Louisville's industrial base, where the shipping and trade industries eventually gave way to a service-based economy that has a gross metropolitan product of more than $67bn. Major Industries: The most significant industry sectors in Louisville are now healthcare and insurance, which have managed to keep the local economy afloat during times of recession, creating even more jobs than they had prior to the financial crisis. Logistics and distribution remain important industries too due to Louisville's strategic location in the heart of the United States, and manufacturing still employs more than 70,000 people city-wide. Leisure and entertainment have undergone rapid expansion since the early 1990s thanks to the construction of several cultural and sports venues in the downtown area. Key Employers: Louisville has its share of Fortune 500 companies, which include Humana Insurance, Yum! Brands, and Kindred Healthcare. 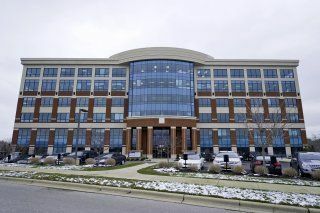 Other major employers based in Louisville include the Port of Louisville, General Electric, United Parcel Service, Blue Shield, Anthem Blue Cross, and the University of Louisville. Labor Market: The city has an active job market where top high-demand occupations are nursing, sales, IT, software development, management, and advanced manufacturing. Local authorities have recognized the need for the workforce to adopt digital skills and launched initiatives like Code Louisville, a program that provides web development training and job orientation and that is likely to benefit employers in IT and digital services. Business Benefits & Support: Several small Louisville-based companies have made it to the list of Best Places to Work in Kentucky, reflecting the diversity of the local business community, since the award-winning companies operate in areas like human resources, digital, legal services, IT, marketing, media, and food manufacturing. 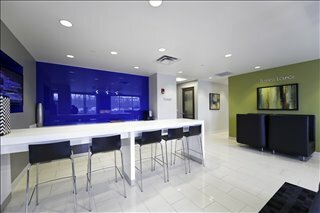 We would love to help you find your perfect office for lease in Louisville. 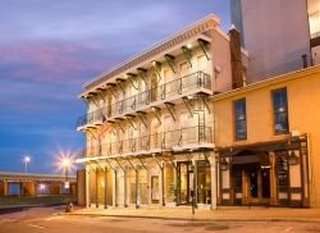 Simply choose any of the offices for rent in Louisville, KY that you see above. 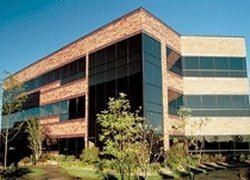 All of the office space listed on Offices.net is in an excellent business location, with each office available for immediate lease or short term rental. A wide selection of the business centers and cowork spaces come inclusive of a range of support services which include office administration, dedicated reception and on site IT support staff, high speed internet and WiFi services, lounge and meeting room amenities. In addition, a number of the office properties for lease provide free onsite parking spaces with excellent parking ratios, 24-hour easy access, dining facilities and break out areas. As well as the beautiful office space listed above, Offices.net can also provide an extensive selection of Louisville medical office solutions and Louisville retail spaces. 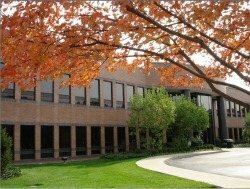 Executive office suites, commercial space, industrial space and other office space for lease or temporary rental can also be found in excellent business locations in other cities in Kentucky.